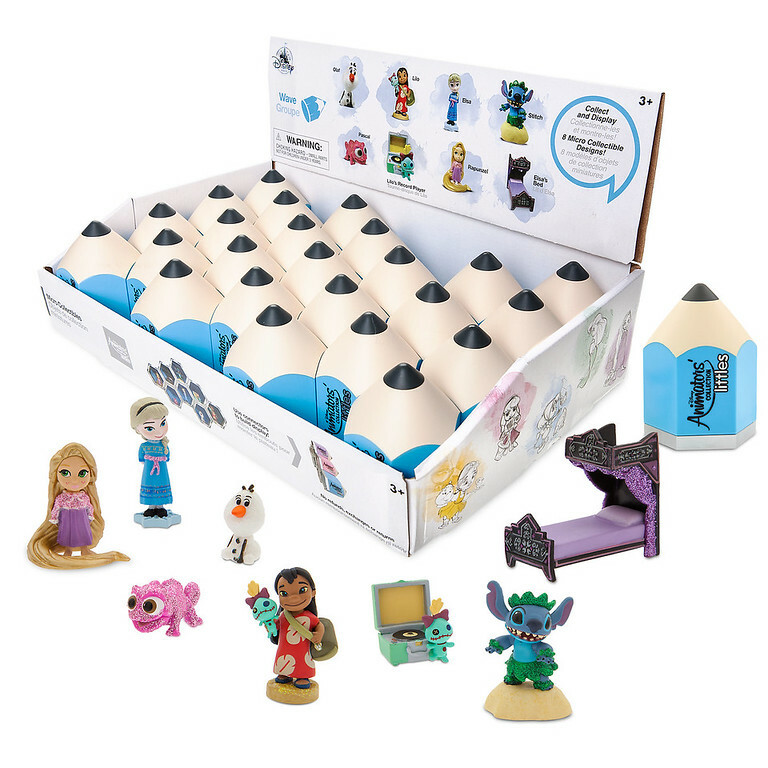 Picturing Disney: Little Mystery Micro Collectibles: Disney Animator's Newest Collection! Little Mystery Micro Collectibles: Disney Animator's Newest Collection! Animators' Little Mystery Micro Collectibles? We love all the Animator Dolls around here at Picturing Disney. In fact one special little lady on our "team" has the entire collection new in boxes on top of her armoire. If you go into her bedroom she will march you over to the collection, point up and say "I'm not allowed to open those dolls!" She will then put her hands on her hips, pout adorably, stomp and say "I want to...but SHE (Mom) won't let me!" It does not matter that she has duplicates of her favorites to play with. She just wants to love them all. The solution to CJ's problems has arrived just in time for the holidays! The Disney Animator's Collection Little Mystery Micro Collectible Figures retail for $4.95. They are perfect little miniatures of Rapunzel, Pascal, Elsa, Olaf, Lilo & Scrump and Stitch. Also included in the first set of figures are Elsa's bed and Scrump with a record player. My Christmas shopping just got so much easier. These little minis will be wrapped and ready to go for a few of my favorite little ladies! I can't wait to see who will be starring in the second set. I hope there is a little fairy from Neverland in one of the next pencil boxes. Everything about these toys is attractive to me. I am a sucker for miniature toys.